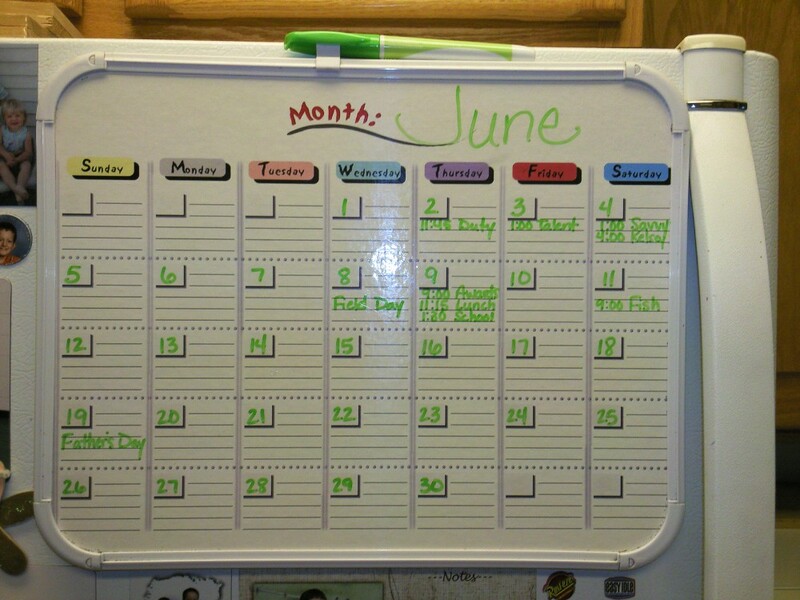 Being Frugal and Making It Work: School's Out For Summer! It's official! My kids have completed 1st and 4th grade and are on summer vacation. Still hard to believe that the school year is already over but we are very excited for summer vacation. 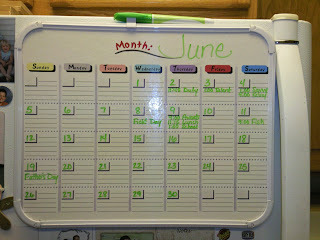 I'm thrilled to see that this month's calendar is virtually free of any scheduled activities. Will I be able to relax, breathe and finally get caught up? We are starting off our summer by attending the free fishing derby at our local park on Saturday morning! My parents will be here for the weekend too! I see fishing, a bon fire and smores in our weekend plans! We are looking forward to a summer of FUN! Camping, Silverwood Theme Park, Boulder Beach Waterpark, fishing, trips to Grandma and Grandpa's, riding 4 wheelers, bonfires and smores, swimming, boating and trips to the park. We get season passes to Silverwood/Boulder Beach every summer. It's a theme park and waterpark all in one. It's so much fun. We go once a week all summer long. Some weeks we even go 2 or 3 times, just for a few hours. It's only a 10 minute drive from our house so it's very convenient! Sounds like an awesome summer! And isn't it a little bit refreshing not to have your calendar crammed with school stuff! We would love it if you linked all of your fun, local stuff with us at our brand new "Show us your Town Hop"!! Take pictures of that fishing derby to link up next Saturday. ;) If you have anything you can link this week, the hop will be up at 10 PM EST tonight. Have a great time at the fishing derby!! !